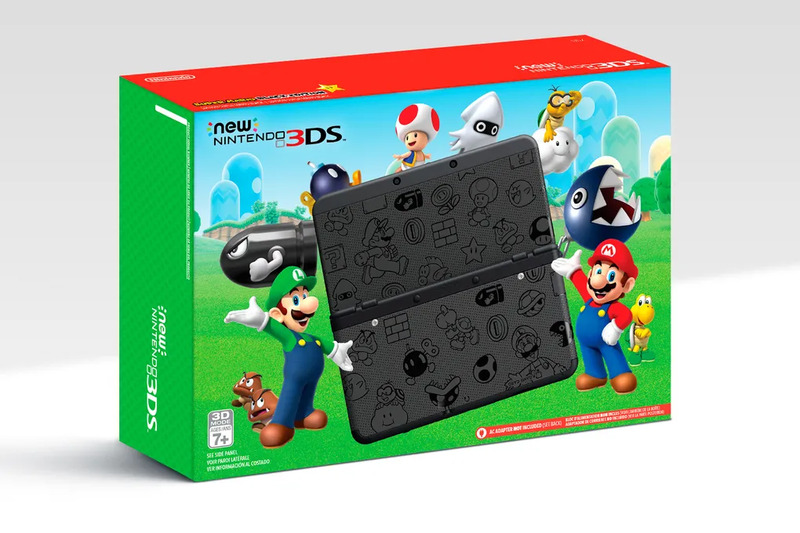 Limited Edition New Nintendo 3DS coming out in the US on the November 25th for $99. 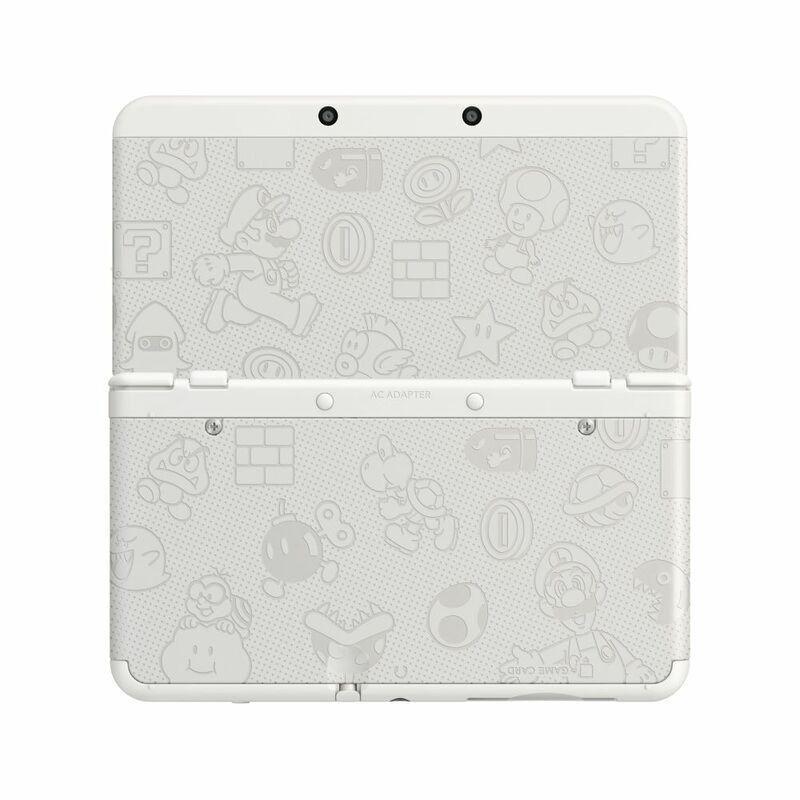 The New 3DS will come out in Black and White with Mushroom Kingdom cover plates in said colors. The cover plates in question are Number 005 and Number 023. Even though I already have the white version with that exact same cover plate, I think I'll buy the black version, too, which is the one I originally wanted. I'm not trading in my white version, though. Does History really dictate whether the 3DS is doomed or not? That sounds ridiculously cheap, even with currency variances. Is that right?! Because that sounds like a steal. $99 is a really great price for a New 3DS. Like, wow. To think I paid $80 or so for a 2DS for my nephew like two years ago, what a deal this is! But this isn't the XL, right? @TriforceBun Nope, it's the smaller one. If it were the XL I'd consider it. It is not the XL, it is the far superior smaller version with swappable faceplates. Although this is a great deal I can't go back to the smaller version. My over sized gorilla hands can't take the pain. This seems like an aggressive move to sell systems. I wonder how long the price will stay and how many units they've produced for it. @Shadowlink Yup, $99.99 USD, or $139.99 for Canada. No game included though. @DrFinkelstein Did the 2DS come with a game though? And the sturdier 2DS may still be better for kids. Wow! Will buy a black to use with my Majora's Mask faceplates! Fantastic deal! I hope everyone who gets their first 3DS experience thanks to this will enjoy it as much as I have! Anyway, I've always wanted one of these suckers. And I don't think that the black one has been available here, right? I plan to grab one and homebrew it, so that I can play Japanese games on it. It'll be my Japanese/multiplayer system. Still, is this system really going to be limited? Why doesn't Nintendo just freaking keep one of these on the shelf for a while? WITHOUT Happy Home Designer? I think it'$ pretty ea$y to gue$$ why. But I wager in 2017 there will end up being a permanent version. After holiday sales boost finishes out. A lot of people accuse Nintendo of limiting the supply and creating scarcity to make more money (like with Amiibos), but I dunno... I'm going to have to see the supply/demand graph to verify if the money that they leave on the table from not having enough units on shelves is truly less than what they get from the increased demand. I think it's more that Nintendo doesn't want to take a bath (financially speaking) by overstocking their products. Especially in an age where they would rather have you buy all of their software digitally (even though we're discussing hardware). Does this version still not include an AC adapter? @Anand Nintendo have always been conservative, though it does feel like they've done a poor job lately estimating demand for their products, in both directions. I'm upgrading, but to the Galaxy XL version. I can't go back to the small screens.